Some of Spirituality and Practice’s teachers. The pilgrim typing “spirituality” into an internet browser these days will receive 225,000,000 hits in the flash of a second. Buyers beware. Virtual religion/spirituality is an unchartered territory where anyone with the inclination can put up a “shingle” on the web. Knowing whom to trust is a major consideration for the spiritual seeker who turns to the web for resources and support. Spirituality & Practice (S&P) came up number two when I put “spirituality” in my browser, just after Wikipedia’s entry. Whether it is the Spirit or a software engineer’s algorithms, this high placement is a blessing for us all, novices, elders, teachers, indeed, anyone who is spiritually hungry. S&P has “a positive and spiritually progressive perspective” with which religious exclusivists may be uncomfortable. That said, it is trustworthy for a variety of reasons. This is a counter-cultural phenomenon. They give away most of their content, and their income-producing activities are a fine bargain for what they offer. They’ve created a framework for understanding “spiritual literacy,” a framework designed for all of us. Who wants to quarrel with a list of 37 spiritual “practices” that begins with Attention, Beauty, Being Present, Compassion, and Devotion? And finally – Who are “they”? All documented on the site’s About Us pages. With its radical inclusiveness, how does S&P maintain quality control? How do they reduce 225,000,000 links to several thousand trustworthy recommended resources? Every one of these resources for spiritual journeys is subject to three criteria. First, it must be vetted, that is, receive careful, critical examination, based on the editors’ extensive knowledge of teachers and subjects. Second, it must be sourced, so people can go back and find the original and know exactly where it comes from. . Third, it must be curated, a highly selective process of choosing, grouping, and commenting on the best and most relevant content on a topic. S&P doesn’t spend time on anything they don’t think is valuable. No energy is given to explaining why this book is a rip-off or that documentary a failure. Its reviews, profiles, excerpts, e-courses, audio and video resources feature only what they take to be quality, useful, Spirit-friendly offerings. Implicit in their choices is a pastoral concern, the intention to provide a growing mosaic of useful resources for the spiritually hungry. Spiritualityandpractice.com has a growing library of resources, unparalleled on the web. It contains 24,000 pages of content . Its growing database contains 5,600 book reviews, 300 children’s book reviews, 3,700 book excerpts, 4,600 film reviews, and 400 audio reviews. They are all searchable by title, author, tradition, keyword, and practice. Lists and reviews of the Most Spiritually Literate Films and the Best Spiritual Books from the past 14 years are available, as well as recommended DVDs. The “Alphabet of Spiritual Literacy” identifies 37 essential spiritual practices that are recognized as markers of the spiritual life in all religions. Each of the 37 has its own homepage with background information, recommended books and films, quotations, exercises, prayers, recommended websites, and more. 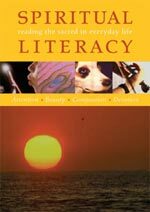 Another section has resources for small groups using the Spiritual Literacy DVD series based on these practices. To give visitors different ways to access all this content, S&P’s editors have curated some of this content in sections on religious traditions and topics. S&P is much more than a library, though. It hosts a number of blogs. E-courses are offered through the year and are then added to a collection of more than 80 programs available on-demand. The “Practicing Spirituality” series are 40-day programs on the spirituality of different religious traditions; practices for places, activities, and relationships; and the work of master teachers, such as Joan Chittister, Thich Nhat Hanh, Henri Nouwen, Ram Dass, and many others. Online Retreats, offered in partnership with other organizations and teachers, have covered classic practices such as Centering Prayer and Lovingkindness Meditation as well as sacred texts such as the Qur’an, the Tao Te Ching, and the writings of the Desert Fathers and Mothers. “Fear Busters: a 21-Day Recovery Program” has just finished (though it’s still available on-demand); “A Spiritual Guide to Solitude with James Kullander” and “Discovering What’s Enough with Wayne Muller” start later this month. Courses in real time include a Practice Circle, a safe place where students respond electronically to the e-course offerings. In this new kind of class discussion you can pour out your heart while retaining your privacy. The opening session of “The Wisdom Jesus with Cynthia Bourgeault,” going on at this writing, inspired 195 comments. Thousands of people have taken these courses, and congregations and other groups can set up special offerings for their own participants. Frederic and Mary Ann Brussat are the co-founders and co-directors of this superb and trustworthy interreligious resource. They bring decades of interreligious spiritual education communications experience to their ministry. Back in Milwaukee in the sixties and later as a chaplain at Cornell, Frederic wrote reviews of books and movies for clergy who hadn’t the time to read or see them but who found the reviews (focused on spiritually resonant resources) useful in their relationships with parishioners. Ordained in the United Church of Christ, his vocation has been devoted to finding valuable spiritual resources in the arts and culture. In trusting S&P, you trust him. Don’t believe me. Dive in – read several reviews and a profile or two, take a course, and make your own judgment. Frederic and Mary Ann not only fell in love 40 years ago but discovered they made a good communications team – he as the writer, she the editor. Over the years Mary Ann has come into her own as a speaker on spiritual practices and was ordained as an interfaith/interspiritual minister in 2007. Their joint work has developed through newsletters, magazines, syndicated articles, television appearances, and now the Internet. Today S&P is six years old and developing a growing constituency. Its archives have become a global treasury. The Brussats are more than aggregators, reviewers, and teachers. The whole project grew out of their own pioneering work in everyday spirituality. They are the authors of Spiritual Literacy: Reading the Sacred in Everyday Life, a collection of more than 650 examples of spiritual perspectives on everyday experience, which is the basis of a 26-part DVD series. In that book, they first introduced the “Alphabet of Spiritual Literacy” around which the website is organized. Their follow-up book, Spiritual Rx: Prescriptions for Living a Meaningful Life, recommends resources and exercises for exploring those practices. They are also the authors of two gift paperbacks, 100 Ways to Keep Your Soul Alive and its sequel, 100 More Ways to Keep Your Soul Alive. To witness the power of two in an age of corporate power juggling, big budgets and branding (even amongst the ‘good guys‘) is breath-taking. Along with the incredible work they generate, Frederic and Mary Ann Brussat are exemplars, models for you and me of what the disciplines of the Spirit are capable of contributing to our lives, each and every one of us, and to our communities.